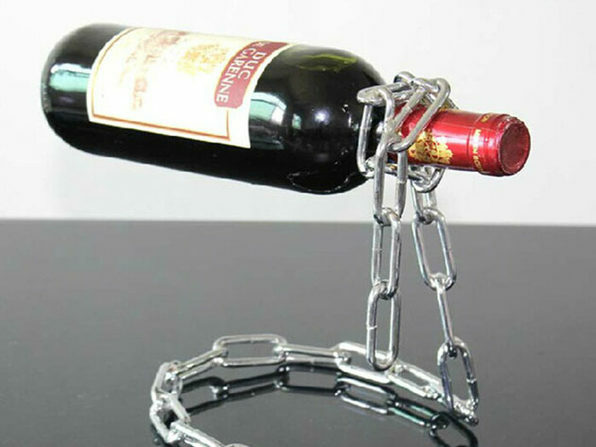 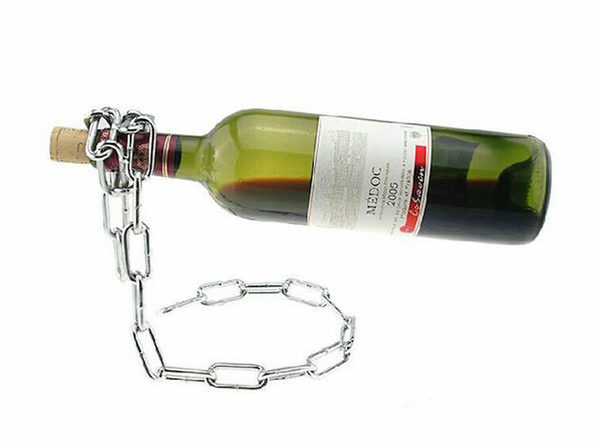 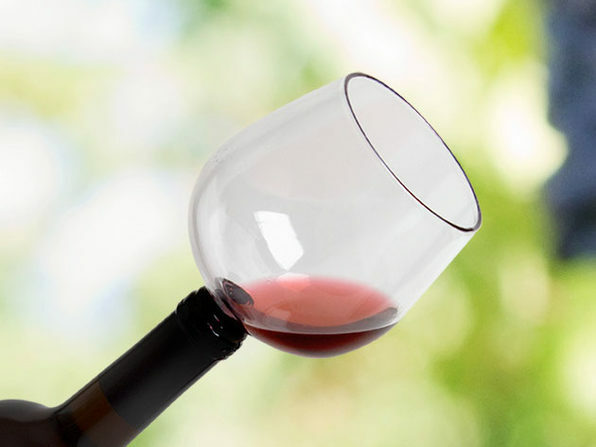 This super fun chain link wine bottle holder uses the principle of balance to create a magical optical illusion. 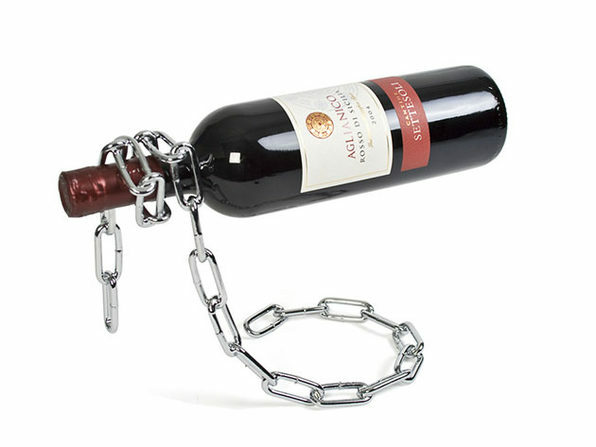 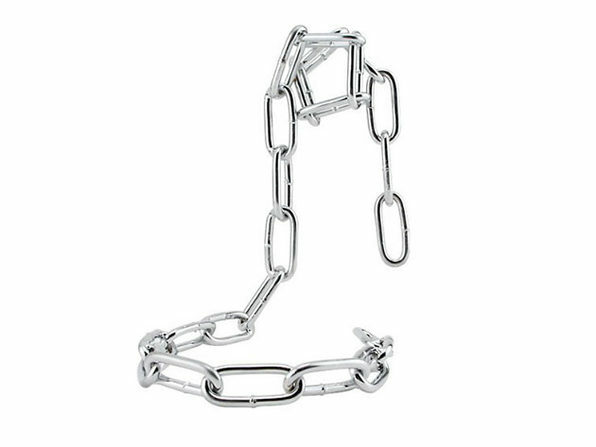 The nickel-plated iron chain is chic and modern with an upward curve that is suitable for most bottles. 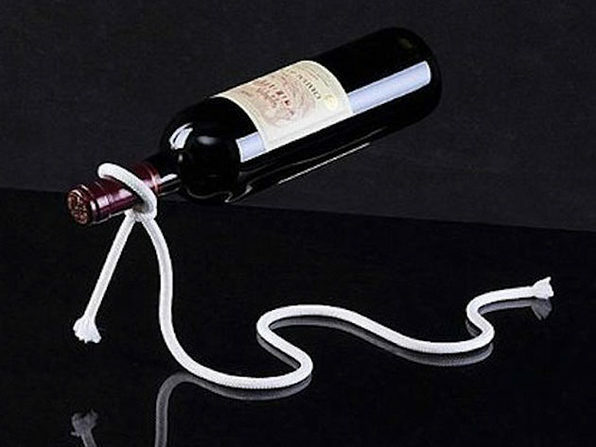 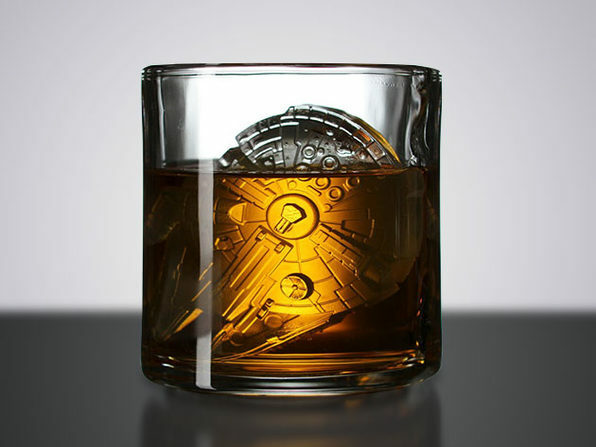 Decorate your home with a conversation starter that's unique, practical, and interesting.